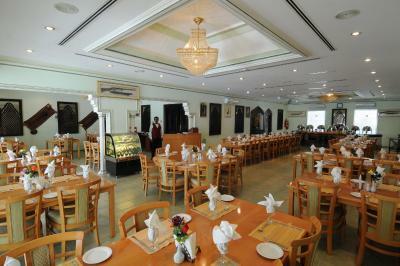 Lock in a great price for Falaj Daris Hotel – rated 8 by recent guests! A nice hotel in Nizwa, nice its own pool and poolside breakfast is nice! 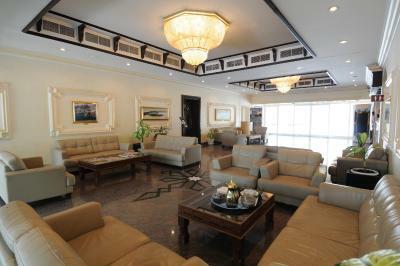 The location is good, through you will need a car to get to other parts of Nizwa. I appreciated the concierge's restaurant recommendations. The hotel had a surprisingly good breakfast, well worth the extra $$. The overall experience was really good. the location makes the access very easy. Lovely pools and outdoor areas. Very nice room. Excellent breakfast. Really enjoyed our stay at Falaj Daris. Omani people are so friendly, honest, and hospitable. We received an email before arrival lowering our room rate from what we booked on Booking.com. What an unexpected surprise that the hotel would be so honest to correct the error. We really appreciated it and made our great stay even better. The overall experience of staying at Al Falaj Al Daris was marvellous! The staff was friendly and always ready to assist, if required. The amenities offered are excellent and great value for money! Great value for money. Wifi was good and so was breakfast. Pool area is lovely. Room comfortable and spacious. - Great swimming pools, kids pool with shade. - The standard room suit for family with 2 small kids. 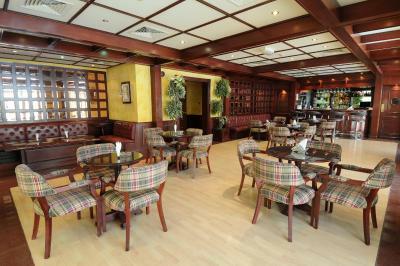 - Located in Nizwa main road, not far from nizwa souq. Easy access to visit tourist spot in Bahla, Al hamra and other area. - Simple breakfast but taste good. Friendly staff in the restaurant. Just a really nice property, older style but with all the necessities and with attentive and friendly staff. Falaj Daris Hotel This rating is a reflection of how the property compares to the industry standard when it comes to price, facilities and services available. It's based on a self-evaluation by the property. Use this rating to help choose your stay! 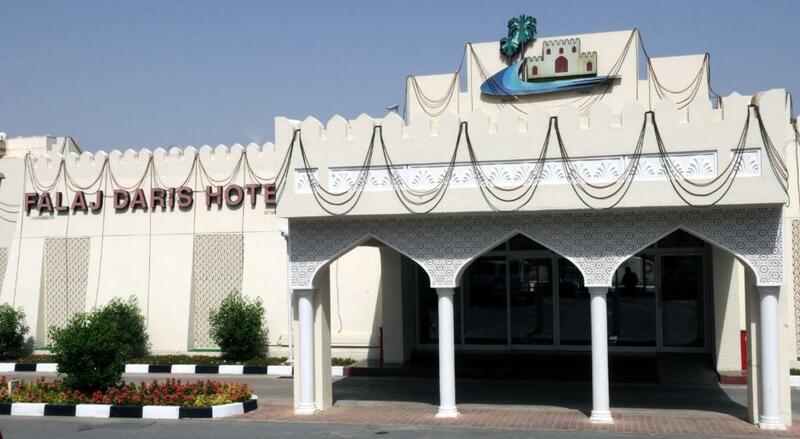 Featuring a garden and free WiFi, Falaj Daris Hotel is located in Nizwa. This 3-star hotel offers a 24-hour front desk. Nizwa Souq is 3.9 miles from the property. At the hotel, rooms contain a closet. Rooms are complete with a private bathroom equipped with a bath or shower, while certain rooms also offer a seating area. 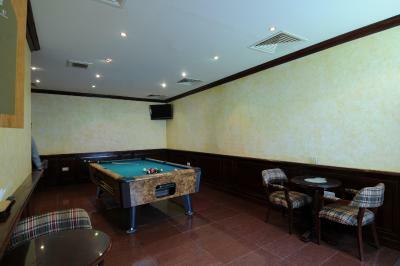 At Falaj Daris Hotel all rooms are equipped with air conditioning and a flat-screen TV. Guests can rent a car or take advantage of the business center. Nizwa Fort is 3.9 miles from the accommodation. 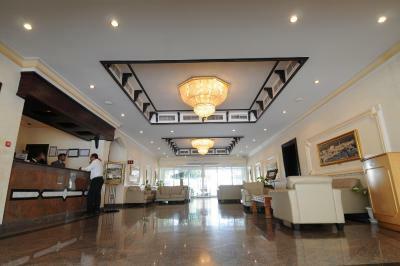 When would you like to stay at Falaj Daris Hotel? This double room features a bathrobe, tile/marble floor and cable TV. This twin room has a cable TV, mini-bar and bathrobe. House Rules Falaj Daris Hotel takes special requests – add in the next step! All children under 12 years are charged OMR 11.70 per night for extra beds. Falaj Daris Hotel accepts these cards and reserves the right to temporarily hold an amount prior to arrival. It is overprices compared to the what is offered. Staff need to know about the history of the hotel and the city. Breakfast seating outside (poolside) need some attention from the waiters during service. The location is good and near the center of the city. Location was a little out of town so you need to drive to the centre or the hypermarket. 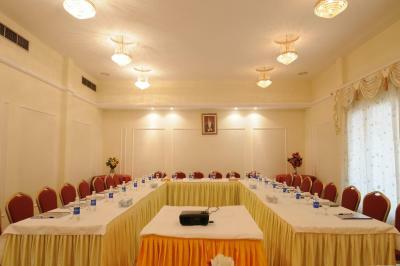 Comfortable, spacious hotel with friendly very helpful staff. Excellent reasonably priced restaurant, lovely clean pools with plenty of bedchairs. Good full breakfast offering. The hotel is slightly faded but is clean and well maintained. There are other restaurants within walking distance. Plenty of free parking on site. The food in the restaurant. Decoration is not bad but the hotel can indeed not be qualified as "fashion". It is very correct anyway. Price is high if compared to similar options in Muscat. Comfortable hotel with a pleasing swimming pool and a restaurant where you are served beer or wine if you want (at a price, for course). Kind attention of staff. Staff was kind but very unhelpful. Tried to get help in contacting a local tour guide for excursions, but the reception staff first was not very willing to help and second never got hold af a tour guide. So a bit disappointing. Good breakfast, 2 swimming pools! Close to the city center. 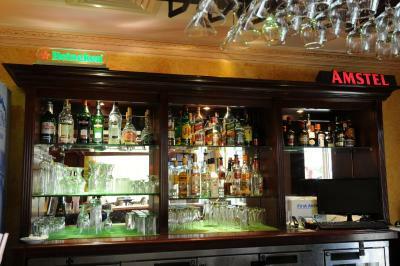 Here you can find a bar with beer and cocktails. That’s rare in Oman! It’s far from the old town/fort/souk, and without a car, you are stuck in the hotel for the evening. The buffet dinner at GBP20 pp is expensive for what it is and a la carte option is equally pricey. When we stayed, there was a strong noise from the generator a few hours in the evening and in the morning. This is a proper hotel with large rooms and decent bathrooms and functioning TV. There are 2 pools which look nice but we didn’t have time to try. Closest to western standards in Nizwa. The rooms were pretty dated and the beds were a bit uncomfortable. I felt the price pretty high for the room value. The Falaj Daris is situated on a busy dual carriageway and our impression from outside was not so good. That changed the minute we entered the hotel and were greeted by the extremely friendly and helpful staff. The two pools and their surroundings were very nice. The restaurant was good. The fitness room was surprisingly well fitted out. Great value for money! Wonderful pool. Large and comfortable room. Excellent breakfast.